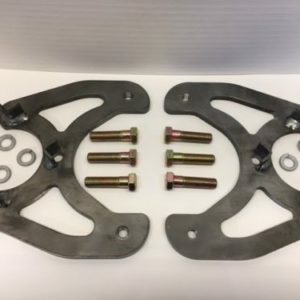 As these E-brake calipers get a bit long in the tooth they are getting harder to come by and as a result the components to make them function correctly have not been sold by GM for roughly 15 years. Sure you can buy them on loaded calipers for a premium but we decided to give you guys another option since we are producing them and have been in bulk on our full kits for years now. What you see is what you get. 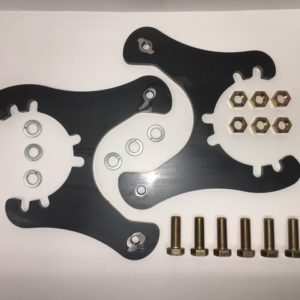 Each kit comes with the brackets and springs to complete a full rear axle (both sides or a matching pair of calipers), all you need to do is add the reman calipers of your choosing. 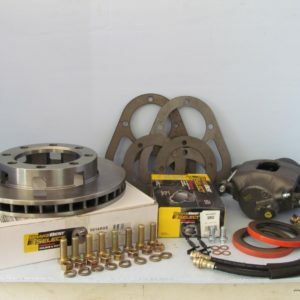 We are also including a basic set of instructions written by us that goes over the adjustment of said calipers and the normal issues that arise when installing them and adjusting them correctly. Material and Finish : Machined for a precision fit from 1020 Steel and shipped clean and free of burrs. 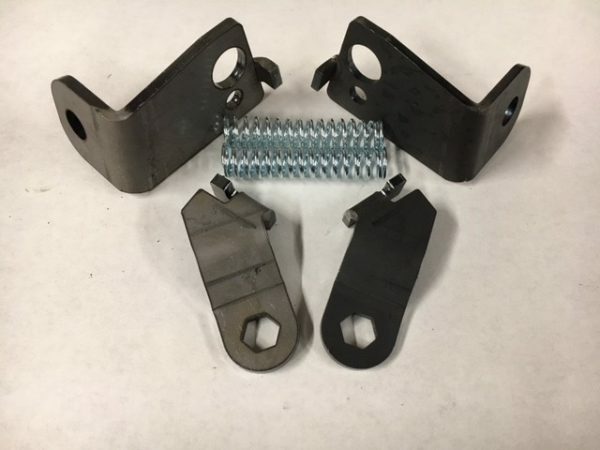 Spacers are fully welded on to the bracket, not just held on by bolts or tack welds. Product will come in bare steel and coatings can be added by customer at their own discretion.